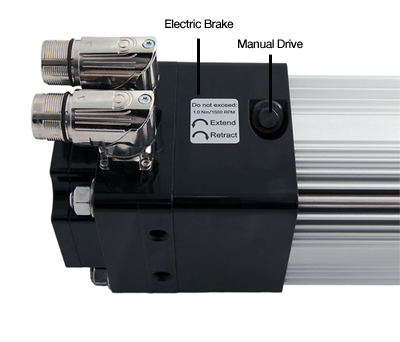 Diakont delivers the DA99 and DA78 series electric servo actuators with specialized options to accommodate the unique requirements of the welding industry. Driven by an integrated motor and high-quality roller screw, Diakont actuators deliver best-in-class performance in a compact form factor. Diakont’s electric servo actuators deliver the high forces required for weld gun actuation with a high force repeatability. Diakont servo actuators with 10-pole motors deliver higher peak force (22kN vs 17.8 kN) or more welds per minute ( 25 welds/min vs 20 welds/min) at similar force when compared with other roller screw actuators of similar sizes with 8-pole motors. Diakont actuators with 10-pole motors provide the capabilities for welding steel, aluminum, and dissimilar metals in a single solution. The optimized motor design provides forces up to 22 kN, which is ideal for welding higher gauges of steel and delivers improved productivity, increasing the number of welds achievable in a given time frame. 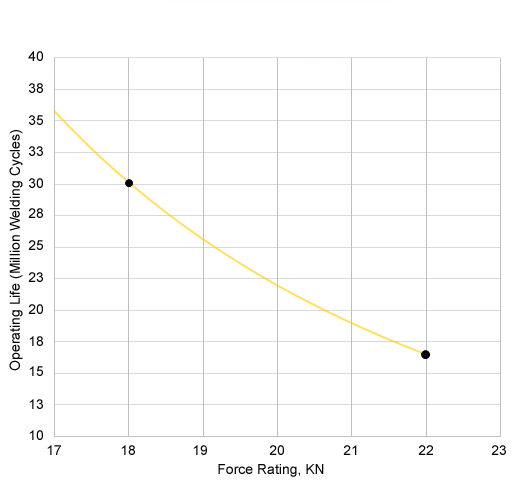 This technology also allows for highly accurate force repeatability which is ideal for consistent aluminum welds. 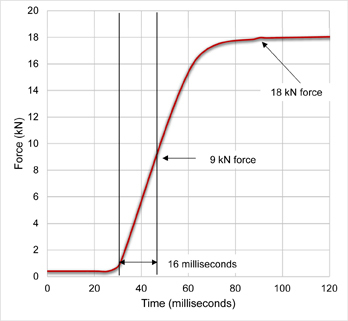 The ability to increase force by 9 kN in just 16 milliseconds facilitates successful welding of dissimilar metals by increasing from an ideal welding force to the ideal forging force in the necessary amount of time. Diakont’s standard product line of weld gun servo actuators is outlined in the following table. However, Diakont’s engineering team often tailors existing designs to meet specific application requirements. For space constrained welding applications, Diakont offers DA78-35 electric servo actuators. The automotive industry imposes strict requirements for actuator minimum service life of >10 million welding cycles. Rigorous testing has shown Diakont’s welding servo actuators consistently outperform other actuators of similar sizing in service lifetime, exceeding 16 million welding cycles up to a force of 22kN (4,946 lbf), and an impressive 30 million welding cycles at up to a force of 18kN (4,047 lbf). To facilitate integration, Diakont actuators are available with standard and custom mounting options. The design of some weld guns (especially C-type) requires radial load support to maintain weld gun tip alignment and minimize harmful radial loads on the actuator shaft. To enhance radial load durability, Diakont provides an optional internal radial load support that also performs an anti-rotation function. This compact solution weights just 2 kg and adds 95.5 mm. A brake option is required for some types of robots. For these applications, Diakont offers a specialized compact brake solution that increases the weight of the actuator by only 1 kg and its length by 39 mm. To adjust the actuator in the case of sudden power loss, Diakont provides an optional compact manual drive. The manual operation port is located on the upper side of the actuator. Manual operation can be engaged, quickly and easily, by unscrewing the manual operation port, inserting the drive tool, and beginning drive tool rotation either manually or with a screw gun. Manual drive can also be provided using flats on the output shaft. Diakont electric actuators use specialized seals and water diversion channels to prevent ingress into the actuator internals.